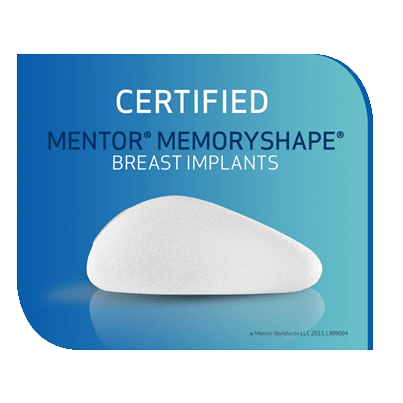 Experience some of our most sophisticated implants. Gummy Bear Implants provide the firmest, most sophisticated solution for breast implants that will not cause issues in the event of a rupture. Contact Dr. Jaconsen today to find out if Gummy Bear Augmentation is right for your unique situation. Many women ask about the gummy bear breast augmentation. The term gummy bear was coined in the late 1990s to allay some of the fears that women had regarding utilizing breast implants. And with time it was thought that if her breast implant ruptured that the gel inside of the implant would spread throughout the body and cause all sorts of diseases and cancers. We know at this point that this is not true. The gummy bear was developed to give the impression to women that if the implant ruptured that the internal gel contents would not spread throughout the breast into little droplets and cause injury or disease. This was a very good concept and many implants were then utilized to have a thicker fluid that gave the impression of the gummy bear implant, much like a gummy bear that we would eat as a candy. However, the tradeoff is that the implant is quite firmer than a normal silicone gel implant and feels less natural. To hold its shape as a gummy bearlike substance it also must become firmer. As a result, this sophistication of the silicone gel implant and its feel is lost to some degree as the firmness is more significant. All the silicone gel implants now have what is called a low bleed implant. This means that if the breast implant ruptures the gel does not so to speak bleed throughout the breast and the body and cause tissue injury. So, the gummy bear implants referred to a relatively rigid implant that did not bleed at all. Almost all the gel implants now have a thicker subsidence but not quite as thick as the gummy bear that was originally described. If the gel implant is cut with a knife you will see that the internal contents do not drip out like a fluid but tends to be more cohesive and hold itself into a on structured blobs so to speak. So specifically, the gummy bear implants are not necessary. We know now that the implants once they do rupture did not spread throughout the body and are usually contained by the capsule or the scar that the body normally forms around the implant. Specifically, the body forms a capsule around the implant which is a scar like a filmlike bag or sac around the implant so when the implant ruptures is rare that any of the contents extend beyond the confines of this capsule around the implant.